A semi-frameless shower enclosure is a great option for both tub/shower combos and walk-in shower enclosures. These enclosures are durable, aesthetically pleasing, and come in a number of standard sizes making them one of the most affordable shower options on the market. When possible, we will use standard sized enclosures to help increase our customer’s savings. If a standard size will not fit the space, we can order these enclosures as custom sized units for an additional charge. Best Value Glass offers many different types of semi frameless shower enclosures. Best Value Glass offers two types of standard bi-pass shower units. 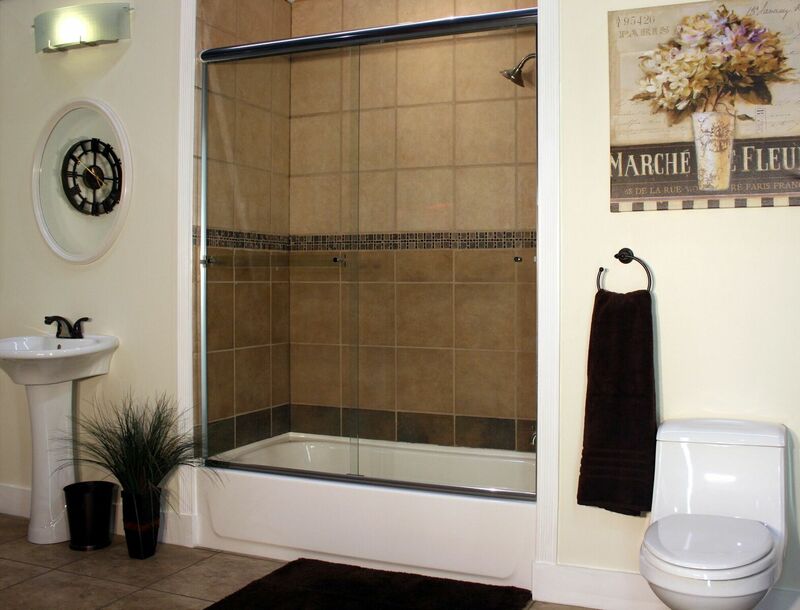 The first type of bi-pass shower enclosure we offer features 3/16” thick glass and clamp on hardware. This is the most cost effective option available. The second type of bi-pass shower offers upgraded ¼” glass with thru the glass hardware. The standard finish on these units is chrome but can be upgraded to brushed nickel or oil rubbed bronze for an additional cost. Best Value Glass offers two types of semi-frameless pivot shower doors. The first type of shower door we offer features 3/16” thick glass and clamp on hardware. This is the most cost effective option available. The second type of shower door offers upgraded ¼” glass with thru the glass hardware. The standard finish on these units is chrome but can be upgraded to brushed nickel or oil rubbed bronze for an additional cost.